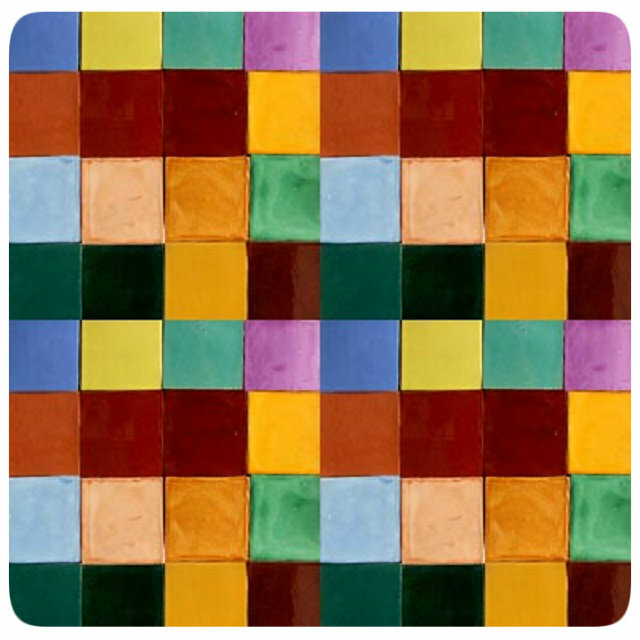 Solid color tiles are painted with typical for Mexican colors. Any ceramic tile can be handcrafted with uniform or as washed pattern. The second option is created by washing color paint over white background. It makes talavera tiles rustic, Spanish colonial or antique looking. Tiles from Mexico are often used for country style kitchen backsplash and counters, hacienda type walls as well as Mexican bathrooms. You can cover the entire surface with them or use Rustica House mexican solid color tiles as accents among wall or floor tiles. You have four options as far as the tile sizes is concerned. Buying options are 1x1, 2x2, 4x4 or 6x6 size solid color tiles. Talavera Ceramic Tile "Arabic Light Green"
Talavera Ceramic Tile "Colonial Burgundy"
Talavera Ceramic Tile "Colonial Cobalt"
Talavera Ceramic Tile "Country Dark Blue"
Talavera Ceramic Tile "European Navy Blue"
Talavera Ceramic Tile "European Snow White"
Talavera Ceramic Tile "Hacienda Solid Blue"
Talavera Ceramic Tile "Hacienda Solid Yellow"
Talavera Ceramic Tile "Mexican Brown"
Talavera Ceramic Tile "Mexican Green"
Talavera Ceramic Tile "Moroccan Washed Green"
Talavera Ceramic Tile "Off White"